According to Plutarch, the ostracism was considered valid if the total number of votes cast was at least 6000. According to a fragment of Philochorus, the "winner" of the ostracism must have obtained at least 6000 votes. Plutarch's evidence for a quorum of 6000, on a priori grounds a necessity for ostracism also per the account of Philochorus, accords with the number required for grants of citizenship in the following century and is generally preferred. Ostracism was crucially different from Athenian law at the time; there was no charge, and no defence could be mounted by the person expelled. The two stages of the procedure ran in the reverse order from that used under almost any trial system—here it is as if a jury are first asked "Do you want to find someone guilty? ", and subsequently asked "Whom do you wish to accuse?". Equally out of place in a judicial framework is perhaps the institution's most peculiar feature: that it can take place at most once a year, and only for one person. In this it resembles the Greek pharmakos or scapegoat—though in contrast, pharmakos generally ejected a lowly member of the community. A further distinction between these two modes (and one not obvious from a modern perspective) is that ostracism was an automatic procedure that required no initiative from any individual, with the vote simply occurring on the wish of the electorate—a diffuse exercise of power. By contrast, an Athenian trial needed the initiative of a particular citizen-prosecutor. While prosecution often led to a counterattack (or was a counterattack itself), no such response was possible in the case of ostracism as responsibility lay with the polity as a whole. In contrast to a trial, ostracism generally reduced political tension rather than increased it. One curious window on the practicalities of ostracism comes from the cache of 190 ostraka discovered dumped in a well next to the acropolis. From the handwriting, they appear to have been written by fourteen individuals and bear the name of Themistocles, ostracised before 471 BC and were evidently meant for distribution to voters. This was not necessarily evidence of electoral fraud (being no worse than modern voting instruction cards), but their being dumped in the well may suggest that their creators wished to hide them. If so, these ostraka provide an example of organized groups attempting to influence the outcome of ostracisms. The two-month gap between the first and second phases would have easily allowed for such a campaign. Around 12,000 political ostraka have been excavated in the Athenian agora and in the Kerameikos. The second victim, Cleisthenes' nephew Megacles, is named by 4647 of these, but for a second undated ostracism not listed above. The known ostracisms seem to fall into three distinct phases: the 480s BC, mid-century 461–443 BC and finally the years 417–415: this matches fairly well with the clustering of known expulsions, although Themistocles before 471 may count as an exception. This suggests that ostracism fell in and out of fashion. The last known ostracism was that of Hyperbolos in circa 417 BC. There is no sign of its use after the Peloponnesian War, when democracy was restored after the oligarchic coup of the Thirty had collapsed in 403 BC. However, while ostracism was not an active feature of the fourth-century version of democracy, it remained; the question was put to the assembly each year, but they did not wish to hold one. In part ostracism lapsed as a procedure at the end of the fifth century because it was replaced by the graphe paranomon, a regular court action under which a much larger number of politicians might be targeted, instead of just one a year as with ostracism, and with greater severity. But it may already have come to seem like an anachronism as factional alliances organised around important men became increasingly less significant in the later period, and power was more specifically located in the interaction of the individual speaker with the power of the assembly and the courts. The threat to the democratic system in the late fifth century came not from tyranny but from oligarchic coups, threats of which became prominent after two brief seizures of power, in 411 BC by "the Four Hundred" and in 404 BC by "the Thirty", which were not dependent on single powerful individuals. Ostracism was not an effective defence against the oligarchic threat and it was not so used. Research suggests that ostracism is a common reprisal strategy used by organizations in response to whistleblowing. Kipling Williams, in a survey on US whistleblowers, found that 100 percent reported post-whistleblowing ostracism. Alexander Brown similarly found that post-whistleblowing ostracism is a common response, and indeed describes ostracism as form of "covert" reprisal, as it is normally so difficult to identify and investigate. ^ The second ostracisms of Megacles and of Alcibiades son of Kleinias are reported only by Lysias in the quoted passage—no other ancient author refers to them. Thus, Lysias's report is regarded as probably spurious by many modern historians. ^ Sinclair, R. K. (1988). Democracy and Participation in Athens. Cambridge University Press. pp. 114–19. ISBN 0-521-42389-9. ^ Staveley, E. S. (1972). Greek and Roman Voting and Elections. Thames and Hudson. pp. 89ff. ^ Broneer, Oscar. "Excavations on the North Slope of the Acropolis, 1937". Hesperia, 1938. pp. 228–243. ^ Williams, K. 2001. Ostracism: The Power of Silence. New York: Guilford Press. pp. 2–18. ^ Douglas, K. 2008. 'Antisocial Communication on Electronic Mail and the Internet'. In: A. Konjin, M. Tanis, S. Utz, and S Barnes (eds.) Mediated Interpersonal Communication. (200–214). New York: Routledge. p. 203. ^ Wesselmann, E. and Williams, K. 2013. 'Ostracism and Stages of Coping'. In: C. Dewall (ed.) Oxford Handbook of Social Exclusion. (20–30). Oxford: Oxford University Press. p. 21. ^ Williams, K. 2001. Ostracism: The Power of Silence. New York: Guilford Press. p. 195. ^ Brown, A. J. (ed) 2008. Whistling While They Work. Canberra: ANU Press. p. 129. Note that the ancient sources on ostracism are mostly fourth century or much later and often limited to brief descriptions such as notes by lexicographers. Most of the narrative and analytical passages of any length come from Plutarch writing five centuries later and with little sympathy for democratic practices. 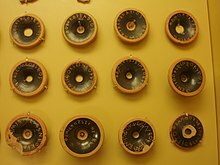 There are no contemporary accounts that can take one into the experiences of participants: a dense account of Athenian democracy can only be made on the basis of the much fuller sources available in the fourth century, especially the Attic orators, after ostracism had fallen into disuse. Most of such references are a fourth-century memory of the institution. P.J. Rhodes, (1994). "The Ostracism of Hyberbolus", Ritual, Finance, Politics: Athenian Democratic Accounts presented to David Lewis pp. 85–99, editors. Robin Osborne, Simon Hornblower, (Oxford). ISBN 0-19-814992-1.